It’s Thanksgiving week! I can barely contain my excitement in anticipation of food that’s going to be prepared – my Mom’s challah bread stuffing, green bean casserole, a couple different preparations of potatoes and don’t get me started on the turkey, gah! 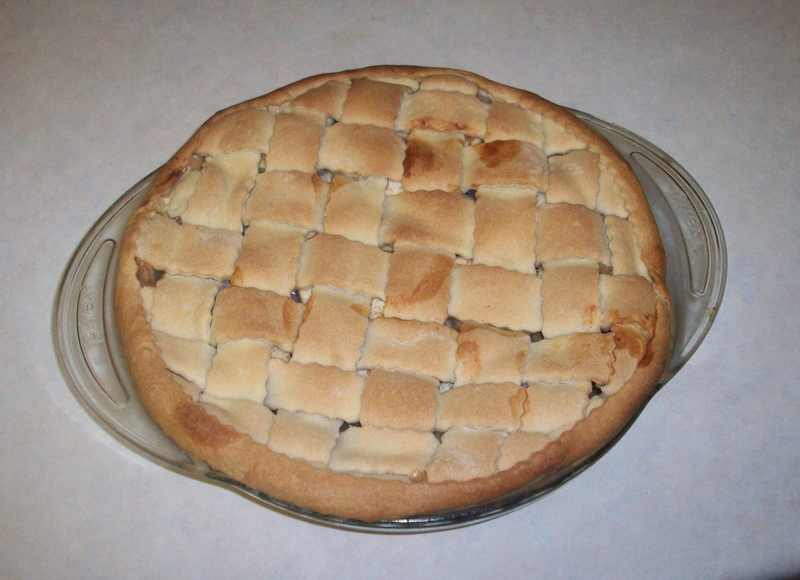 A few years ago, I tried my hand at making an apple pie, and long story short, it’s now my yearly contribution to the great feast. When it comes to pie, I’m all about the crust. It’s the first impression that everyone gets of your dessert. The filling could taste like the 8th wonder of the world, but if it doesn’t look appetizing, no one will want to give it a taste. When I make my apple pie, I love love love to cover it with woven crust. It’s such a beautiful presentation and is guaranteed to elicit “wow!”‘s from your guests. It looks complex, but follow along my pictures below to see just how easy it is! Wilton Ribbon Cutter Tool on 1" setting. 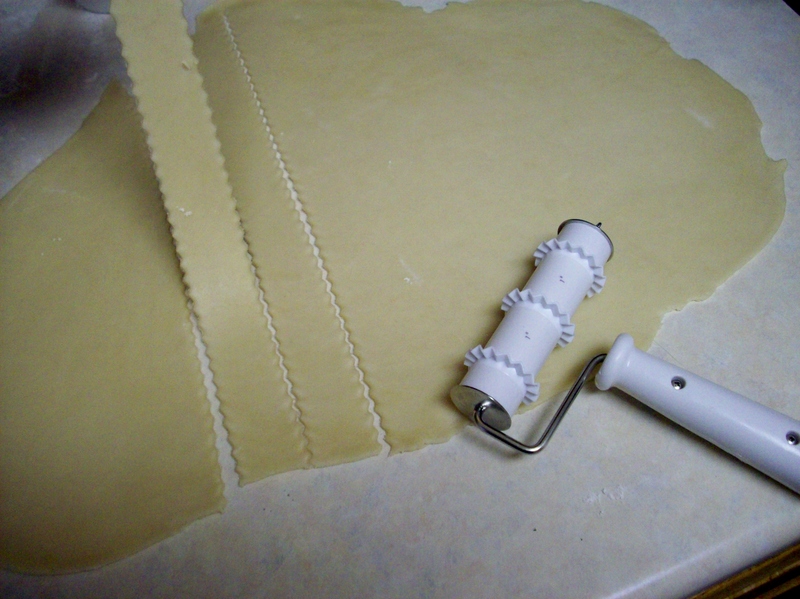 Roll your dough so that its slightly wider than your pie dish. 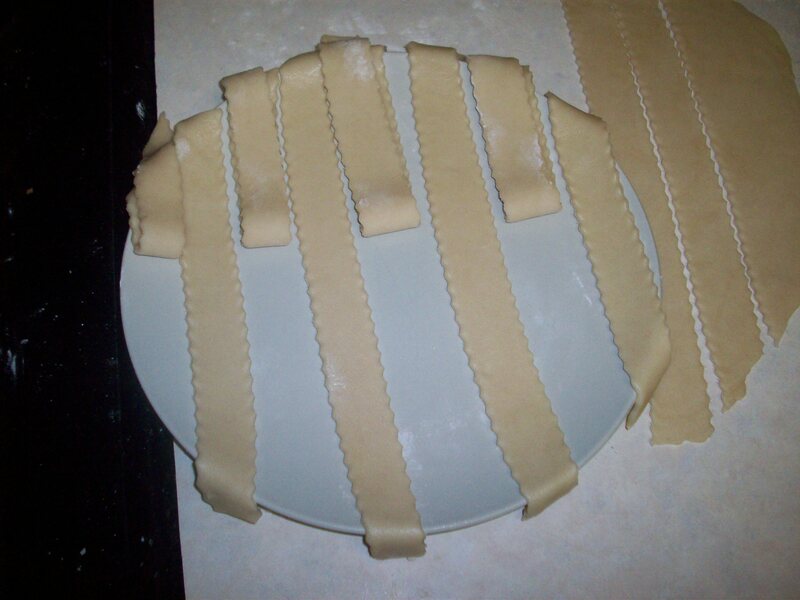 Lay dough strips across your filled pie dish. Pull back every other strip half-way - its easier to work from the middle then outward. 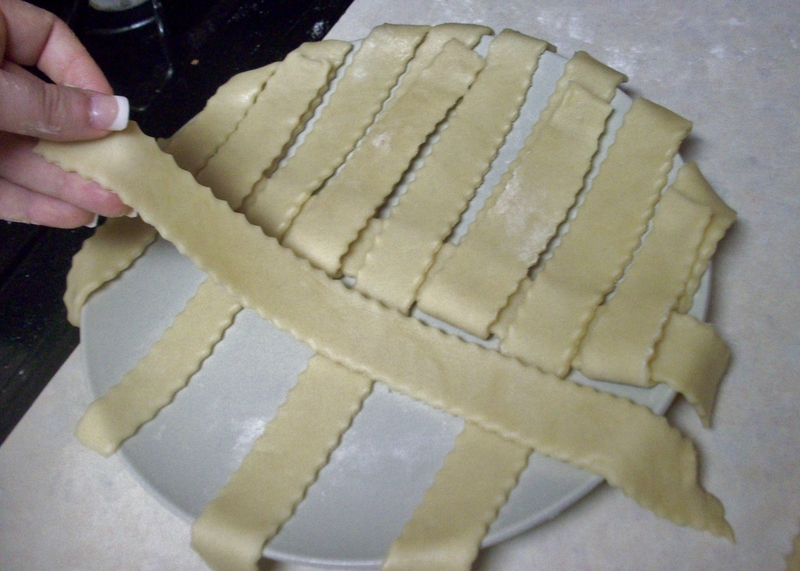 Lay a dough strip horizontally across the vertical strips. 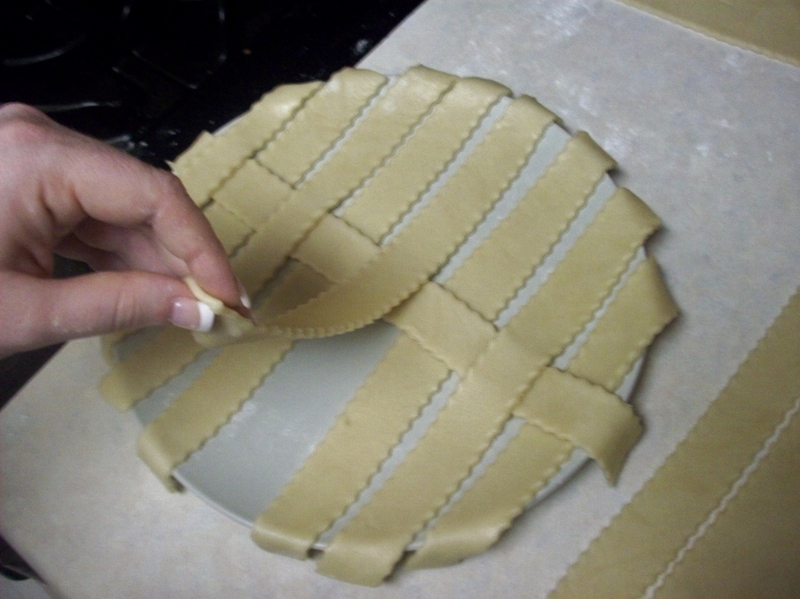 Fold the vertical strips back to their starting position. 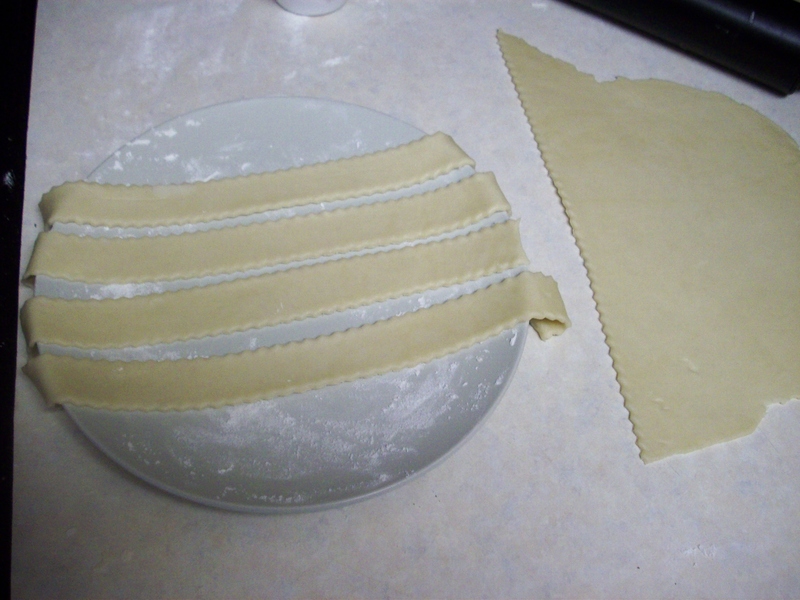 This time, fold back the opposite dough strips, then lay another horizontal strip down. 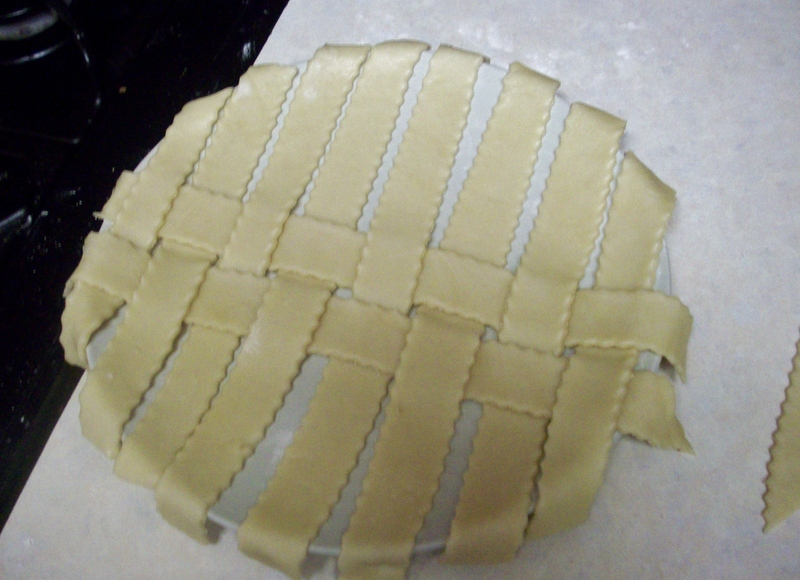 See the basket weave starting to form? 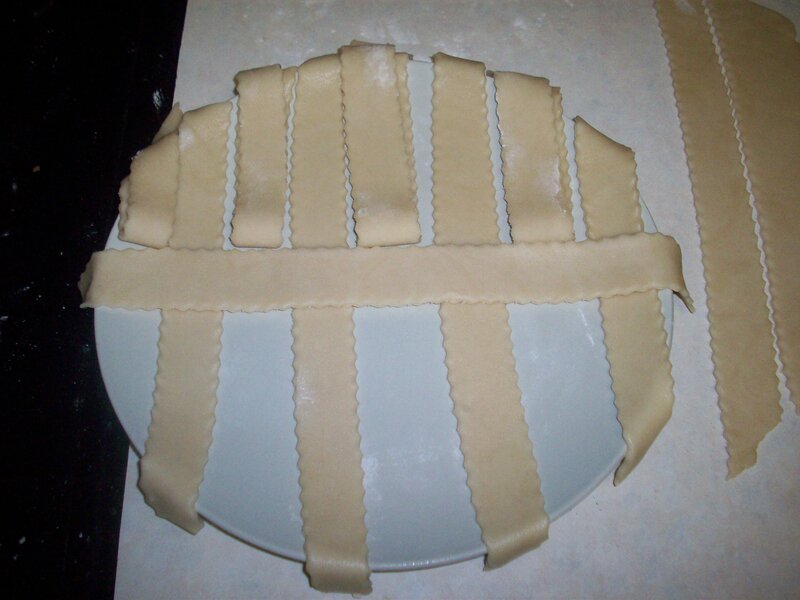 Continue this process of alternating strips until you've covered your pie, then trim the edges. 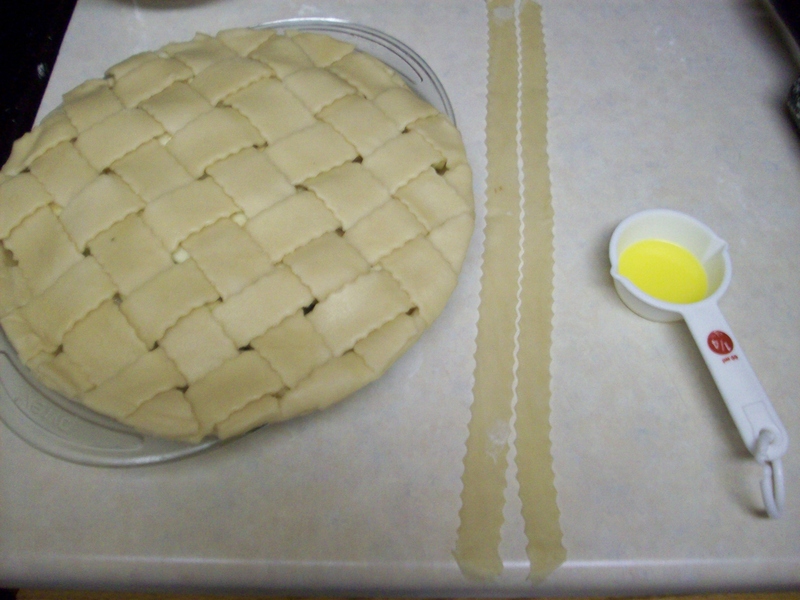 To cover the trimmed edges, roll one long strip of dough (or two shorter strips) and brush with some melted butter. 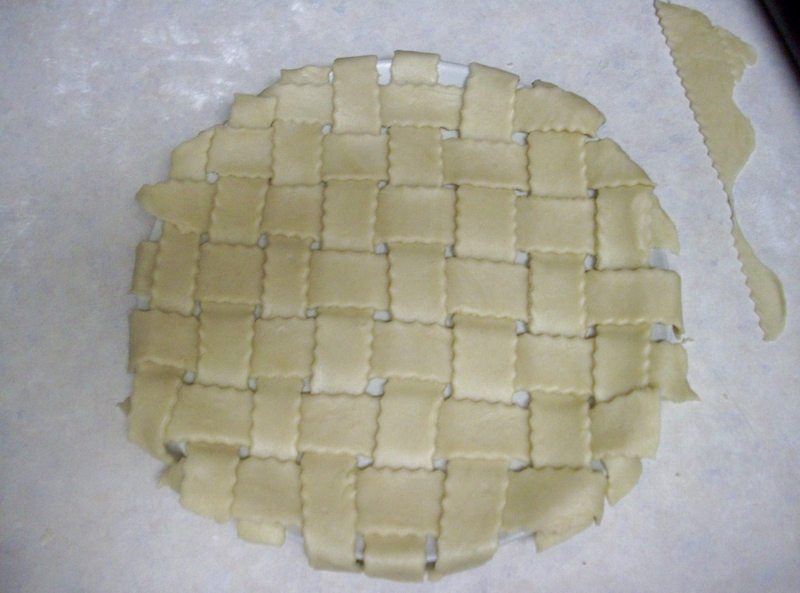 Attach the edging strips around the perimeter of the pie to give it a beautiful finished look. 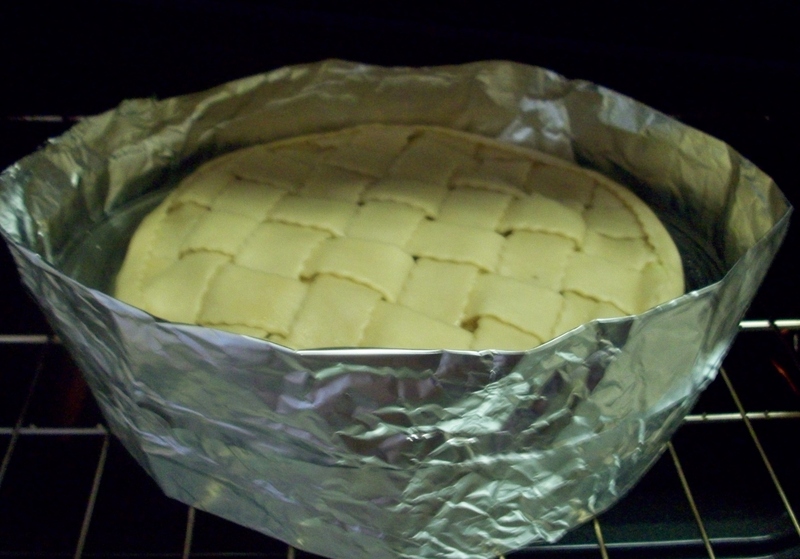 Roll out a sheet of baking foil that is long enough to wrap around your pie dish. 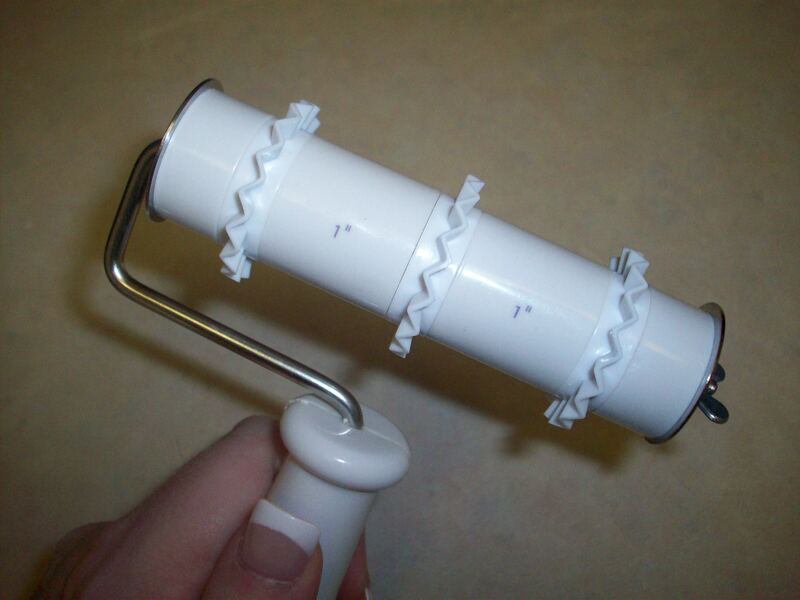 Roll out a sheet of paper towels the same length. 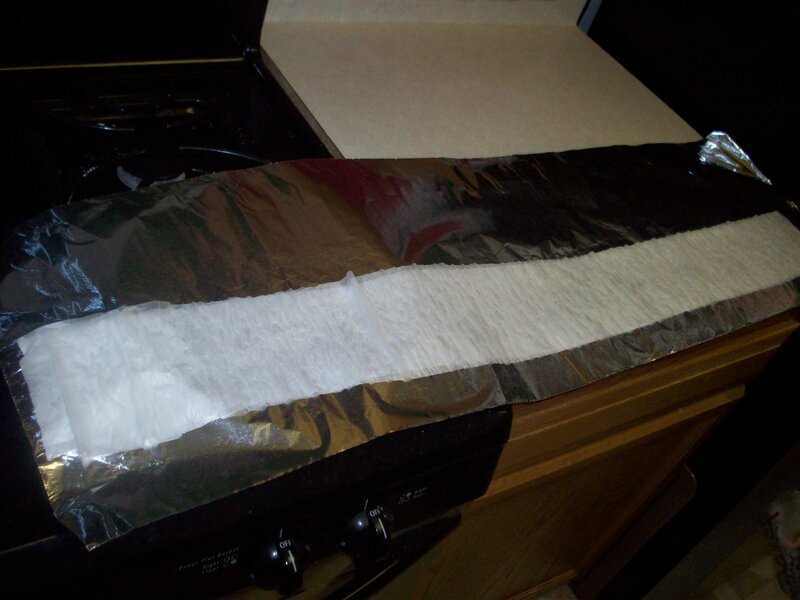 Wet the paper towels, wring them out, then lay evenly across the sheet of foil. Fold up the foil length-wise, leaving about a one-inch border at the top. 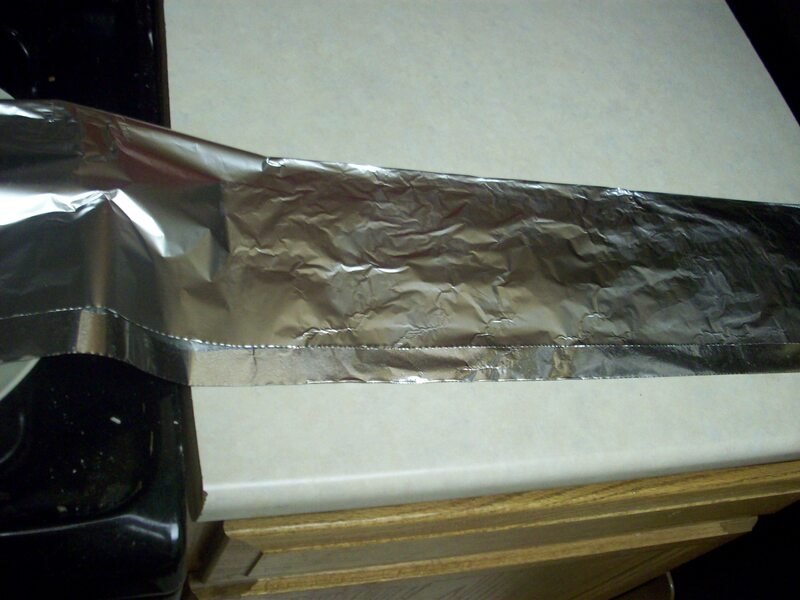 Fold the top edge of the foil over, almost like closing an envelope. 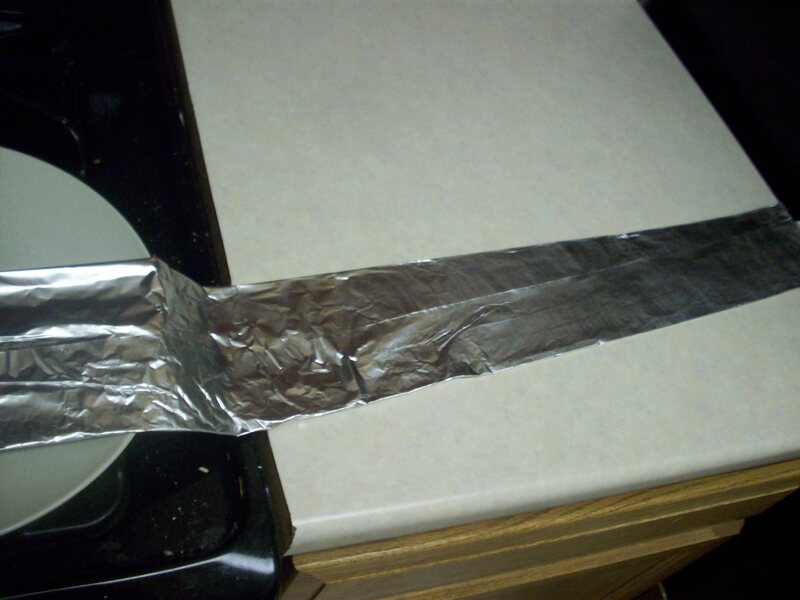 Wrap your foil strip around your pie. Bend the end over the top edge of the foil, pinching it so that it stays wrapped around. Bake pie according to your recipe. Ta Daaaa! 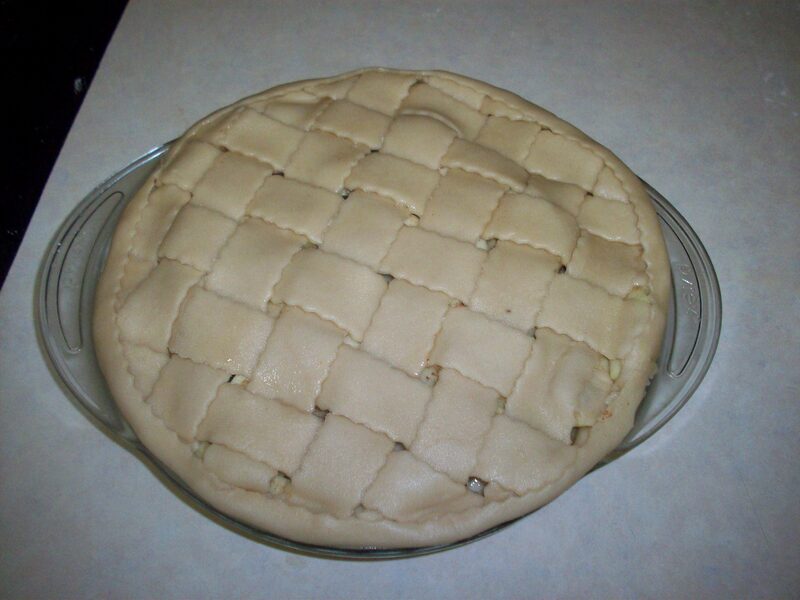 A lovely apple pie with a beautiful woven crust!